Interchange Fifth Edition is a fully revised edition of Fourth Edition Interchange, the world's most successful series for adult and young-adult learners of North American English. The course has been revised to reflect the most recent approaches to language teaching and learning. It remains the innovative series teachers and students have grown to love, while incorporating suggestions from teachers and students all over the world. This edition offers updated content in every unit, grammar practice, and opportunities to develop speaking and listening skills. Interchange Fifth Edition features contemporary topics and a strong focus on both accuracy and fluency. Its successful multi-skills syllabus integrates themes, grammar, functions, vocabulary, and pronunciation. The underlying philosophy of the course remains that language is best learned when it's used for meaningful communication. Interchange Fifth Edition has been thoroughly updated to reflect the most recent approaches to language teaching and learning. It remains the innovative series that teachers and students know and love. The Student’s Book is intended for classroom use and contains 16 six-page units. The Self-study DVD-ROM provides additional vocabulary, grammar, listening, speaking, reading, and full class video-viewing practice. Every unit in Interchange Fifth Edition contains two cycles, each of which has a specific topic, grammar point, and function. The units contain a variety of exercises that present and practice vocabulary, grammar, functions, speaking, pronunciation, listening, writing, and reading. The Workbook’s six-page units can be used in class or for homework. Each unit provides students with additional grammar, vocabulary, reading, and writing practice. Page-by-page teaching notes with step-by-step lesson plans. Audio scripts and answer keys for the Student’s Book, Workbook, and DVD. Language summaries of the new vocabulary and expressions in each unit. Supplementary Resource Overviews that make it easy to plan what to teach for each unit. A complete assessment program, including oral and written quizzes, as well as review unit tests in printable PDF and Microsoft Word® formats. Audio MP3s, audio scripts, and answer keys for the tests and quizzes. The Class Audio CDs are intended for classroom use. The CDs provide audio for all of the audio sections in the Student’s Book. 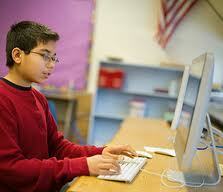 The Student Self-study Audio Program is packaged with the Class Audio program for teachers’ reference. For those students who prefer to study and practice from their personal computers, a downloadable Digital Student's Book for each level of Interchange Fifth Edition provides them with digital tools and the same great content. "The Interchange series is a standard for the ESL publishing industry. Dr. Richards has created a very successful tool - useful for not only instructing your students, but also for inspiring them. 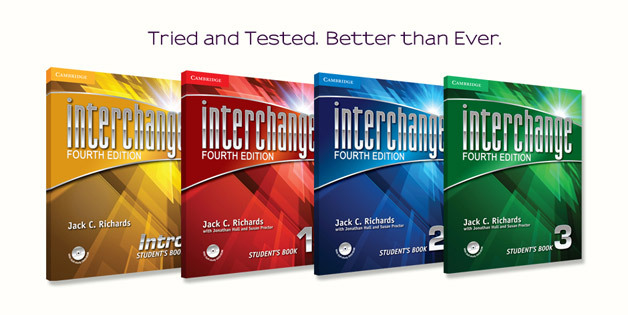 The immediate benefits of using Interchange show themselves very quickly: while the students learn the language in a way that is natural and interesting to them, the teacher learns more about his or her own teaching style (as well as new and effective ways to instruct an ESL class)... a highly recommendable set of books to use." "One of the best things about Interchange is that the lessons always encourage the students to participate using information from their own lives. This makes class more fun and keeps students' interests high." "Teachers committed to providing the best opportunities for their students to learn English you will find in Interchange a valuable tool."